“A team of chemists at Penn State has developed a designer’s toolkit that lets them build various levels of complexity into nanoparticles using a simple, mix-and-match process. “Researchers in areas as diverse as medicine, energy and electronics often design complex nanoscale particles that are predicted to have useful functions,” said Raymond E. Schaak, DuPont Professor of Materials Chemistry at Penn State and the leader of the research team. “But making them in the laboratory is often the bottleneck. 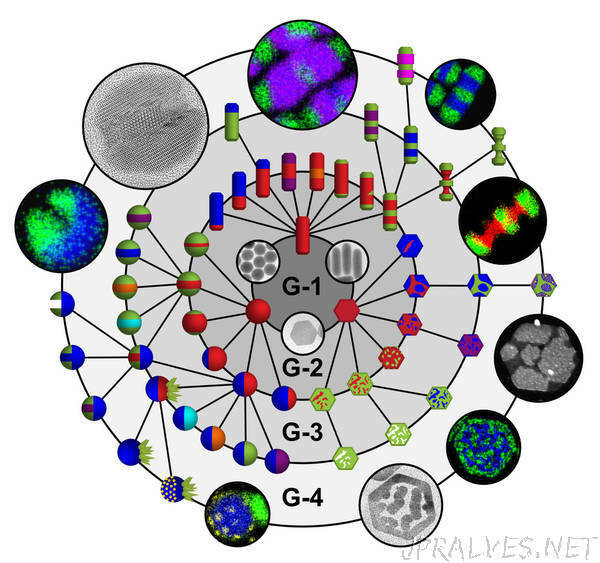 Our strategy can help to streamline this process.” A paper describing the team’s strategy and the large library of particles that they can now make appears May 4 in the journal Science.